Britney Spears loathes meatloaf and all lumpy stuff. Arturo Toscanini hated fish. Ayn Rand despised salads. 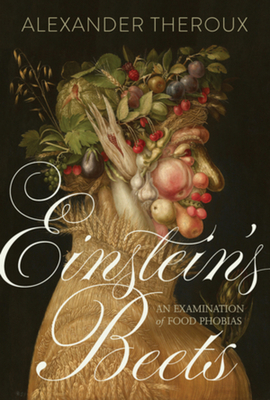 Alexander Theroux sEinstein's Beets is a study of the world of food and food aversions. The novelist and poet probes the secret and mysterious attitudes of hundreds of people mostly famous and well-known toward eating and dining out, hilariously recounting tales of confrontation and scandalous alienation: it contains gossip, confession, embarrassment, and perceptive observations.